Monday, Tuesday, Thursday, Friday: 8:30 a.m.–4:30 p.m.
*Hours will increase when additional providers become available. Able to answer phone calls from 7:00am – 3:00pm. Over the years, ECMC has become nationally renowned for its trauma care and as a regional leader in kidney and pancreas care, cardiac care, orthopedic care and other clinical specialties. Now, ECMC is pleased to offer a VIP primary care practice for all of our patients seeking the care of a general practitioner. Located in a private setting in the David K. Miller Building on the Grider Street Campus, patients ages 18 and up can now visit ECMC for primary care provided by noted area doctor Dr. Howard Sperry. 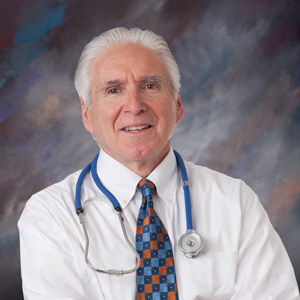 At VIP Primary Care, Dr. Howard Sperry serves as a first point of contact for any number of health concerns, illnesses or general preventative care. Additionally, we refer patients for any specialty or follow-up care. Take advantage of this opportunity to improve your health and well-being with a leading primary care practice at ECMC. Meet our dedicated team of primary care physicians who bring the best of their comprehensive medical expertise to bear for our VIP primary care patients.